On Tuesday 22 May, the Press Association published analysis of UCAS data on the variations between the number of students taking up different subjects. This was covered by the Daily Mail, Times and the i with the focus on the statistic that six times more students from London than the northeast of England started degrees in medicine and dentistry last autumn. The government has made clear its commitment to support young people and schools in the north which can be seen through the Northern Powerhouse Schools Strategy, a £70 million fund to improve education and our Opportunity Areas. Universities should be open for everyone with the talent and potential, regardless of their background or where they live. More people than ever before are going to university and entry rates for 18 year olds from the North East increased by 26% between 2010 and 2017. We know there is more to do. That’s why the Office for Students has introduced a national programme giving £120m to 29 projects working in areas where there are low levels of young people going onto higher education. Thanks to our reforms and the hard work of teachers there are 1.9million more children in good or outstanding schools than in 2010 and we are improving outcomes for children in regions that have faced long-term challenges through our 12 Opportunity Areas – five of which are in the north. We have also launched the Northern Powerhouse Schools Strategy and committed £70 million to boost school performance in the north. 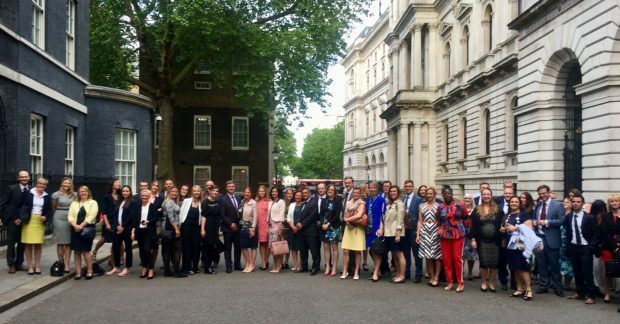 Yesterday the Prime Minister held a reception at 10 Downing Street to celebrate the teaching profession and pay tribute to the 100 teachers in attendance.